However, today’s featured First Lady on Gazette665 is Edith Roosevelt. 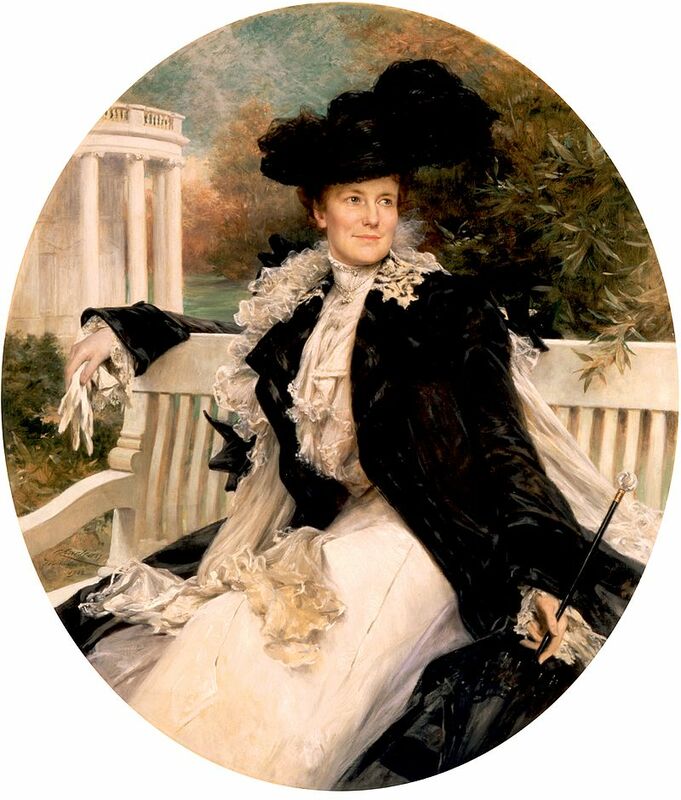 Theodore Roosevelt brought many innovative ideas and new energy to the executive mansion as the twenty-sixth president, and Edith Roosevelt was by his side to temper his exuberance and – in some ways – redefine the First Lady’s role for the beginning of the 20th Century. Edith was born on August 6, 1861, and was one of two daughters in the wealthy and socialite Carow Family. She grew up in New York City and could’ve had an idealized childhood, except for her father’s struggles with alcoholism and her mother’s health troubles. Edith played with the Roosevelt Family’s children and stayed close to that family through the years. At a girls’ finishing school, she excelled in music and literature. In her late teens and early twenties, Edith remained good friends with Theodore Roosevelt; she attended his wedding to Alice Lee and hosted a society party to celebrate his election to the New York Assembly. She filled her days with a whirl of social events – parties, concerts, arts patronage, dances, and religious meetings. 1884 – Alice Lee Roosevelt died, leaving Theodore Roosevelt with a broken heart and an infant girl. The following year Edith and Theodore met by accident, attending similar social events, and eventually agreed on a secret engagement. Theodore initially questioned if a second marriage would be wronging Alice’s memory, but he was drawn to Edith’s kindness and understanding personality. Edith traveled with her mother to Europe. On December 2, 1886, Edith and Theodore married in London. She settled eagerly into what she considered “a traditional role for women,” not exactly impressed with her husband’s favor toward women’s rights. Edith established her housekeeping routine in their new mansion – Sagamore Hill – and welcomed her step-daughter, “little Alice.” Theodore preferred an active life-style, and Edith joined him almost every afternoon for outdoor sports. Edith travelled to her husband’s Dakota ranch and joined him on a camping trip in Yellowstone. They would have five children and adopted practical child training methods, allowing their little ones to explore and use their abundant energy for games and wild sports. In 1899, the family moved to the governor’s mansion in New York, and Edith managed the challenge of looking after her children, running the household, managing the finances, and hosting grand social events while her husband served as governor and continued to advance his political career. She did not want Theodore to run as William McKinley’s vice president, fearing assassination as he took a more visible role in a world where anarchists lurked in the corners. McKinley and Roosevelt won the 1900 Election and took their offices in 1901. Just a few months later, William McKinley was assassinated, and, as the nation mourned the loss of the president, Theodore Roosevelt was sworn in as the twenty-sixth President of the United States. At the White House, Edith launched a renovation project to restore the historic building to resemble its original appearance. She bought new china and furnishings. And – in an effort to help her president stay healthy – she had tennis courts installed on the White House grounds for afternoon recreation. The American press delighted to follow Edith’s mansion innovations, parties, and fashion. Edith travelled extensively as First Lady, going on a national tour with the President and voyaging to inspect the Panama Canal. Their love of travel continued after two terms in the Executive Mansion. As the years went by, the Roosevelts publically supported national causes together, including wilderness preservation and American involvement in World War I; privately the war and the loss of one of her sons depressed Edith. In 1918, Theodore Roosevelt died, and, as a widow, Edith continued to travel and take part in politics. After women gained the right to vote, she actively campaigned for Republican candidates (she actually campaigned against Franklin D. Roosevelt who was a distant relation!) 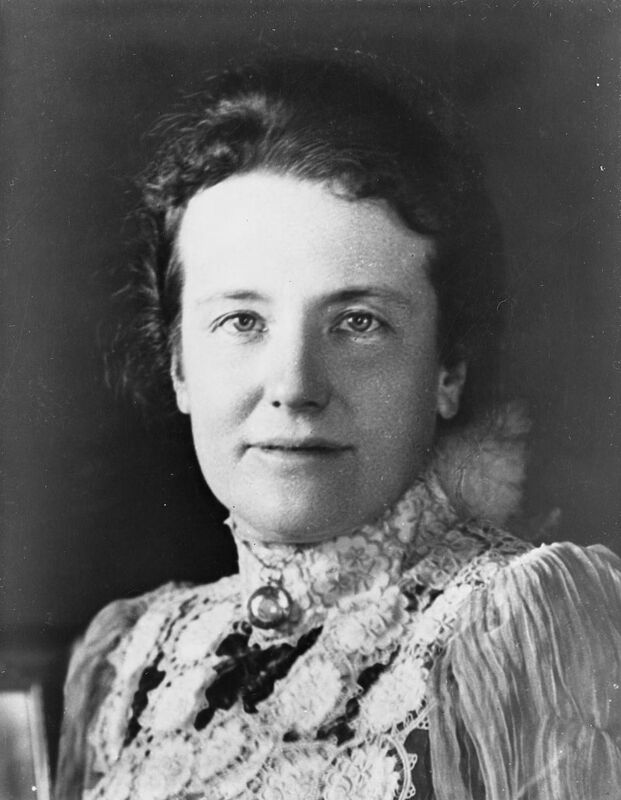 Edith Roosevelt died on September 30, 1948. 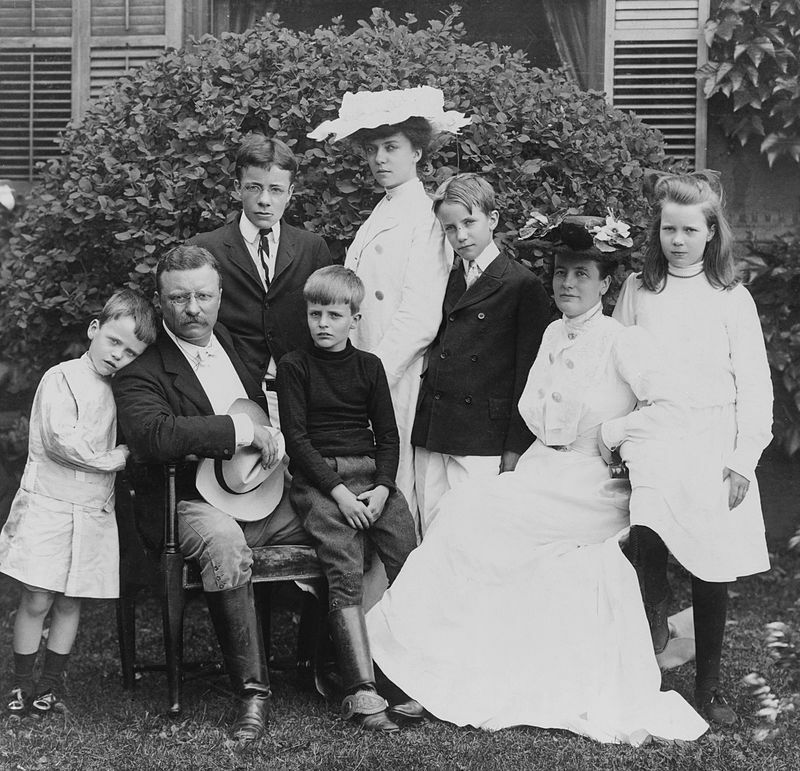 As First Lady, Edith Roosevelt idealized family life and emphasized the traditional role for women at the turn of the century. She was praised for her supportive attitudes and her influence as a moderator on her excitable president. She claimed that her role as First Lady was really just an extension of what she always wanted to do: support her husband, manage a hospitable household, and love her children. While she accomplished those goals, Edith also set precedent for First Ladies to take a more visible role to the American public and press, by touring the country with the president and supporting various causes. P.S. I really wonder what she thought about her boys bringing the pony in the White House? She obviously liked (or tolerated) pets, considering how many her children had!